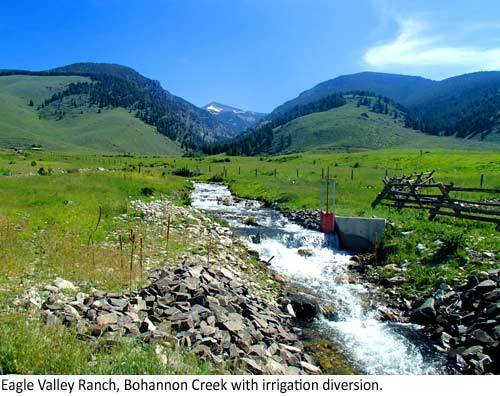 Ten years ago in this remote valley two and one half hours from the nearest airport, four Lemhi ranchers – Joe Tonsmeire, Tom McFarland, Mike Overacker, and Don Olson – met to discuss the future of their community. As in other rural communities throughout the west, many of the ranchers in the Lemhi Valley were land-rich but cash-poor, and it appeared that the way to fund their future was to split off the back forty or one hundred acres of their ranch to sell for development. But these four men wanted another option. They saw the influx of development in neighboring valleys – what it was doing to agricultural land and wild resources – and it made them, and the community as a whole, uncomfortable; wondering if they were going to become the next Gallatin, Madison, or Jackson Hole. The four of them had a deep conservation ethic and knew that leaving their ranches intact, perhaps through conservation easements or other voluntary options, would be the best way to conserve Lemhi’s natural resources, and the community’s way of life; although they weren’t sure how to do so. Out of this desire to preserve their way of life and the land on which they lived it, the Lemhi Regional Land Trust was born. With the humblest of beginnings, the Trust started in the space above the rafting and fishing company owned by Kristin Troy, the Lemhi Regional’s Executive Director, and her husband Mark. They had the option to work with a large national conservation organization, like the Nature Conservancy, but part of their vision was to be a reflection of the community and keep to their grass roots: “[We wanted] to do this on our own so that it felt like, looked like, sounded like our community, and was our own approach to [conservation],” says Troy. 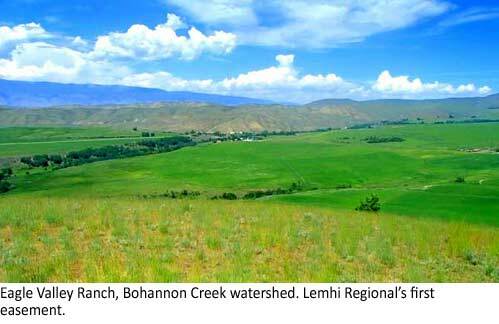 Ten years later, Lemhi Regional now holds eleven easements on almost 9 thousand acres. “It’s absolutely mindboggling to me that in this conservative, small rural community the number of ranchers who have come to visit us over the last ten years has to some extent been overwhelming in terms of the demand for our services versus the resources that have been available, so far at least,” says Troy. Lemhi Regional’s first easement was donated by Nikos and Valerie Monoyios, who were gracious enough to host me earlier this month when I spoke at an event for Lemhi Regional. “Nikos and Val played a tremendous role in demonstrating to the community that they had faith in this tiny little community organization,” says Troy of the Monoyios’. She attributes much of their current growth to those early easements, adding that with their current momentum, Lemhi Regional will be close to doubling that number of 9 thousand conserved acres in the next few years. 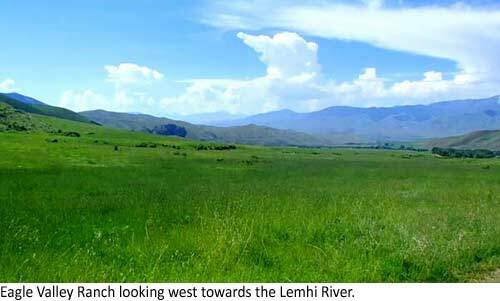 Lemhi Regional was founded by a group of ranchers with a strong conservation ethic, a love for the land and its stewards; and to this day, it is the valley’s landowners who make Lemhi Regional a success.